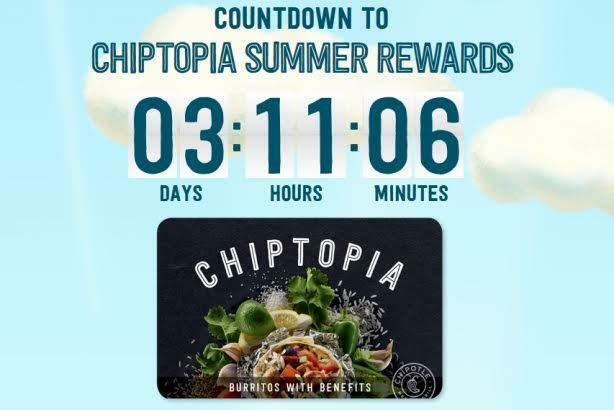 The burrito chain rolled out a website on Monday morning counting down the minutes to the launch of the Chiptopia Summer Rewards program. DENVER: Chipotle is planning to launch a loyalty program on Friday, its latest effort to win back customers scared off by food-safety issues that have troubled the chain since late last year. The burrito chain hired Burson-Marsteller as its U.S. AOR in March. However, Chipotle communications director Chris Arnold said via email that the rewards program was developed in-house.